Hand Made Turquoise Medium Teardrop Earrings. 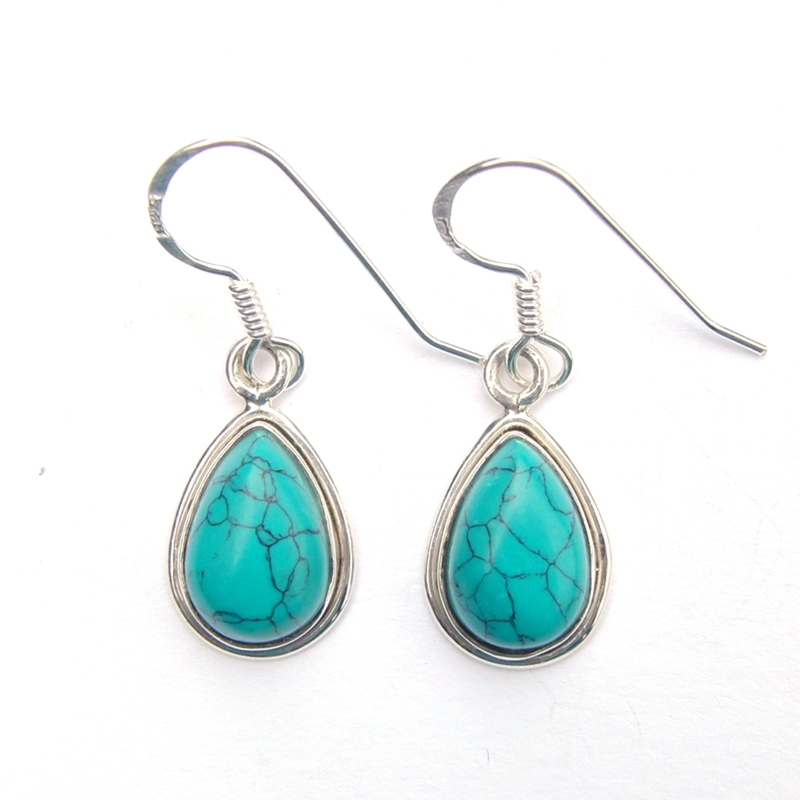 Beautiful Silver Heavier Weight Turquoise Medium Teardrop Earrings. These Earrings have Pretty 12mm x 8mm Teardrop Cabs. They are set a in Lovely Step Setting which frames the Crystal. They have a lot of Silver in their Surround which gives them a nice Rich Look. Approx 3 ¼ cm incl Hooks. Hand Made Turquoise Med Teardrop Earrings. Beautiful Silver Heavier Weight Turquoise Med Teardrop Earrings. These Earrings have Pretty 12mm x 8mm Teardrop Cabs. They are set a in Lovely Step Setting which frames the Crystal. They have a lot of Silver in their Surround which gives them a nice Rich Look. Approx 3 ¼ cm incl Hooks. This website is strictly for approved Wholesale customers only, if you are looking to purchase these Turquoise Med Teardrop Earrings from a retail store, please visit Shooting Star.